Highland Park is arguably the best destination in LA for taco trucks during the daytime(and probably at night as well). The Mar Azul Mariscos truck at Sycamore Park serves up incredible shrimp cocktails and seafood tostadas and further northeast on York Blvd El Pique and La Estrella match wits serving up tasty two biters that make you reach for the nearest cold beverage. 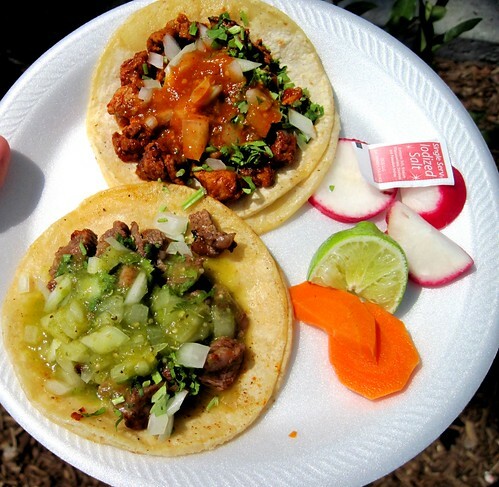 If your playing hooky from work and want to go on a taco crawl, head to Highland Park. Yes you could just go to York Blvd and stick to El Pique and La Estrella but where is the fun in that? Your playing hooky from work and your wife is probably going over to her girlfriends house to watch “So you think you can dance like the stars“ tonight. You don’t have to worry about dinner so you might as well try all the trucks on the way. 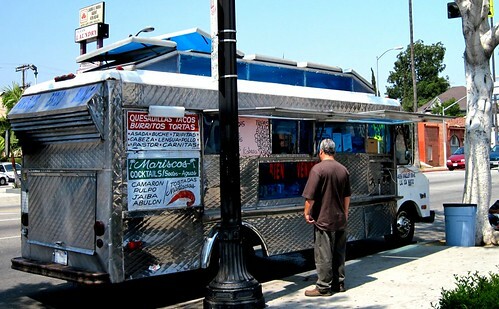 If that’s your game plan then you’re going to want to start with the first truck you see on Figueroa and if it’s daylight it’s the El Paisa truck parked in front of the Food 4 Less. 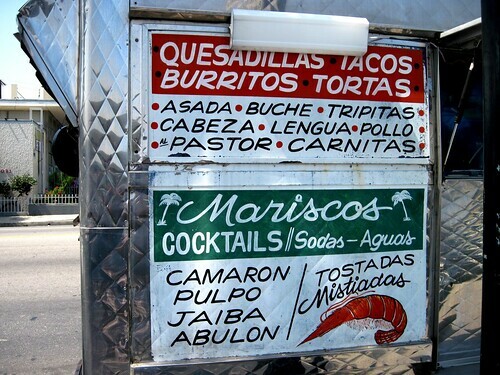 The tacos at El Paisa don’t quite have the spice to them you will find at El Pique or La Estrella. 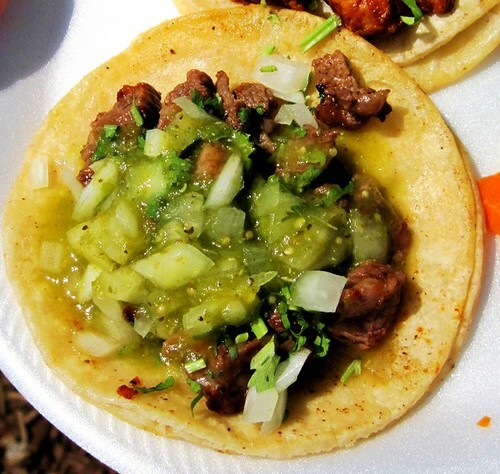 The salsa verde on my carne asada taco was too mild and if you’ve been reading my blog you know that I need that heat somewhere on my plate whether it’s from the salsa or a nicely grilled pepper. Even thought the salsa verde was too mild the taco really worked. The carne asada was tender and greasy and the tomatillo salsa had lots of flavor . I would definitely order this taco again(but would ask for a jalapeño on the side). The al pastor was more like pork adobada with it’s achiote marinade and cubed texture. Topped with a light chile salsa there was a little more heat to this taco compared to the asada. 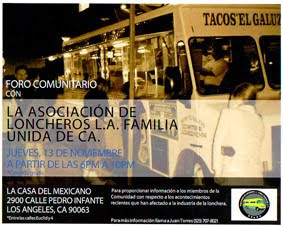 At night this location is home to two other taco trucks, Tacos El Sabroso and Taki Taco Truck. There’s also a tamalero known for his “tamales tamales tamales!” chant and his sidekick the etole vendor . But when it’s daylight it’s just the taco vendors.